You know more—so why spend more? As an experienced mom, you don’t trust something because it costs more, you trust what works. 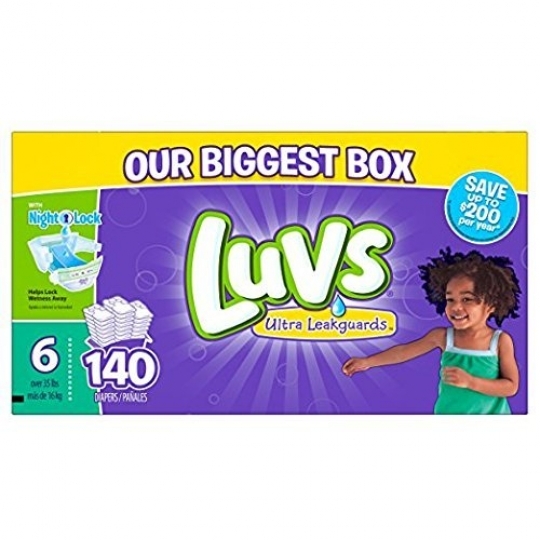 Luvs diapers give your baby the protection she needs at the low price you’re looking for—complete with a money-back guarantee. * Leaks? No thanks. You need a diaper that holds up to your wiggly little one. Luckily, Luvs has NightLock. It's ultra absorbent with large tabs for easy fastening to help stop leaks all around. In fact, Luvs lock away wetness better than Huggies, even overnight. ** So Live, Learn, & Get Luvs. Available in sizes NB, 1, 2, 3, 4, 5, and 6. *See luvs.com for further details. **Huggies Snug & Dry Sizes 3–6.